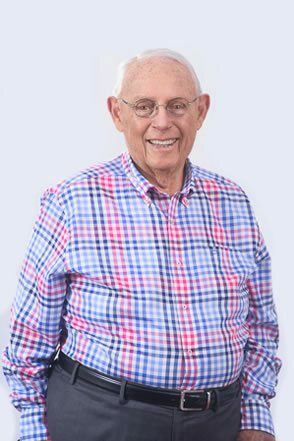 Dr. Walter Woolf entered private practice in Tampa, FL, after earning a doctorate in Veterinary Medicine from the School of Veterinary Medicine at the University of Pennsylvania in Philadelphia. Woolf Animal Hospital opened near Tampa International Airport in 1961. He cared for dogs, cats, assorted other household pets and even some farm animals. As time went by, airline carriers sought his advice on how to best meet the needs of traveling animals. 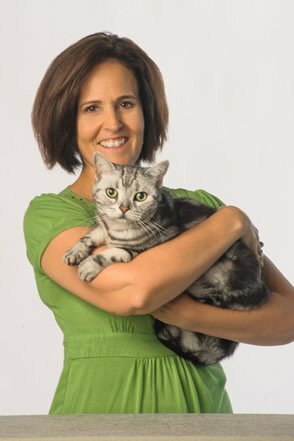 Dr. Woolf's relationship with the airlines soon grew to include caring for and boarding pets traveling through Tampa without their owners. The experience opened his eyes to the growing need for a service focused exclusively on the complex requirements for moving pets domestically and abroad. Dr. Woolf opened Air Animal Pet Movers alongside his private veterinary practice in 1977. He insisted on perfection with his new pet transportation venture, so he helped set the standards for the growing animal relocation industry. He made sure that Air Animal created a safe and enjoyable relocation experience for pets and their owners. 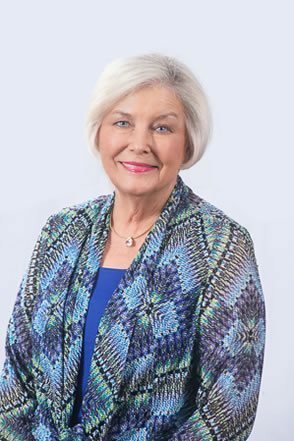 Linda Fries Woolf is Air Animal's compliance officer, conference and trade show manager and corporate secretary. 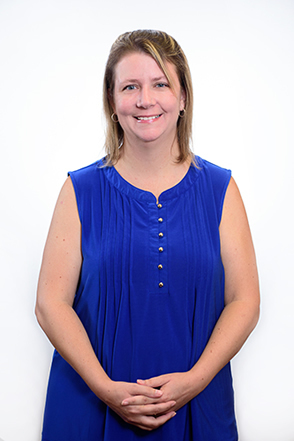 Before joining Air Animal Linda earned CLU, ChFC designations covering all aspects of insurance planning, financial planning, estate and retirement issues, taxation, business insurance, and risk management. She joined Air Animal in 2006. Over the years Linda has had many furry best friends. 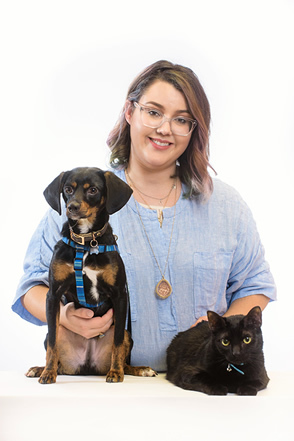 The pet that touched her heart the most was Tinkerbell, a miniature Manchester terrier mix. Linda and her two young sons went to a local pound to get a kitten because she didn’t want to house train another dog just then. The first cage they passed was a litter of puppies. Tinkerbell picked them. They never made it to the cat area. She was seven pounds of endless fun and joy and Linda still smiles when she thinks of Tinkerbell. Her number one priority is to do her part to guarantee the safety and welfare of any animal touched by Air Animal Pet Movers or any of its global service partners. Cathy is Air Animal’s senior domestic move manager for the U.S. and Canada. Her cat Ashton was one of four kittens living in a warehouse attic. He is nine. Mischief was born in Cathy’s neighborhood two years ago. Cathy enjoys hearing back from pet parents after their babies arrive safely. Her priority is giving them all the information they need to feel comfortable with her and Air Animal’s pet transportation service. Cory is Air Animal's senior international pet move manager. She specializes in corporate moves. Cory joined Air Animal in 1989. Of all the special pet moves in her scrapbook, Archie stands out. Archie's owner moved from India to Australia but the import regulations required Archie to stay in the U.S. for six months before he could join his owner. Cory volunteered to take care of Archie. He came to the office with Cory every day and visited other staff members on occasion. Cory's priority is getting pets to their new homes safe and sound with as little stress on them and their parents as possible. Her cat Catillac loves people and travelling with her grand dog and cat. 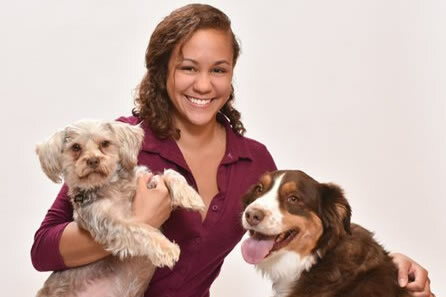 Evelyn, one of Air Animal's international pet move specialists, joined the team in 2011. She loves her fur-babies Maya and Lady. Maya, her border collie mix running partner, joined the family two years ago. Evelyn said Maya "gave her the eyes" and she knew she was the one. Evelyn and her husband rescued Lady, a red-nosed pitbull, 10 years ago. They knew she was part of the family when she and their three-year-old daughter played for an hour non-stop. Evelyn gives rock star service - really! She helped David Lee Roth move his Australian cattle dog, Russell, from Los Angeles to Japan and back. Jessica joined Air Animal in May, 2014. 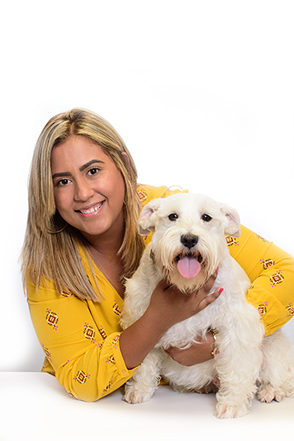 As an international pet move manager, her priority is making pet relocations easy for her clients so they have time to focus on other aspects of their move. 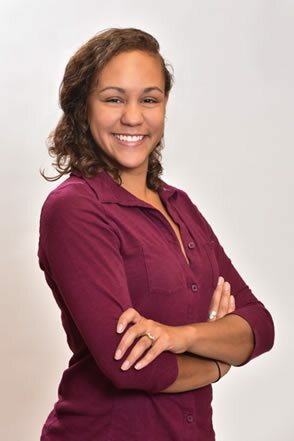 Jessica works with individuals, corporate clients and military families relocating all over the world. 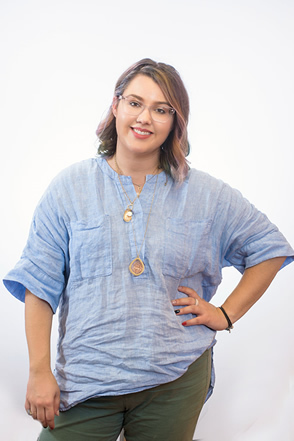 "Making clients feel comfortable and reducing their anxiety, is an important part of my job," she says. Her favorite part of working at Air Animal is seeing photos of the pets and hearing the stories of how the pets were named. Her most memorable move was three Pomeranians and four domestic short hair cats to Dubai from Colorado. 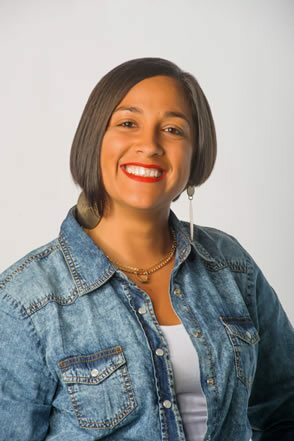 Jessica is a U.S. Navy veteran who has lived and traveled abroad. She has two miniature schnauzers, Bear and Maggie, who are full of energy and keep her family on the move! 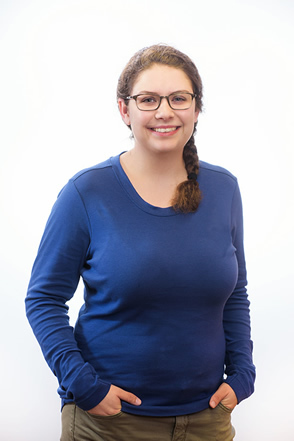 Lindsay, operations manager, joined Air Animal in 2012. She keeps the gears moving as the internal support for the entire office, as well as the resident computer nerd and handyman. Lindsay's number one priority is her family, especially her daughter. At work, her goal is perfection - getting it right the first time. 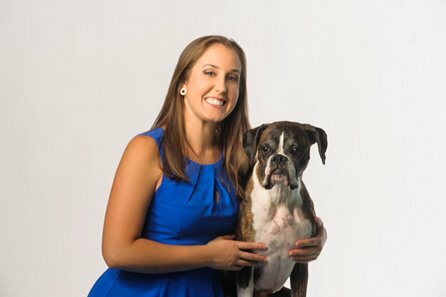 Lindsay and her boxer, Bella, met by chance when Lindsay was studying Animal Science at Virginia Tech. 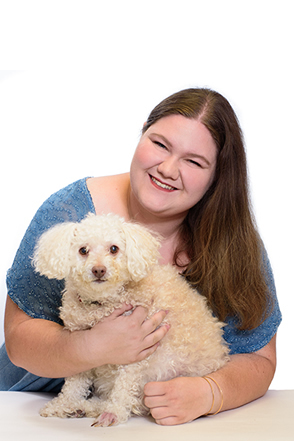 Melissa helps pet parents who are moving all around the globe. 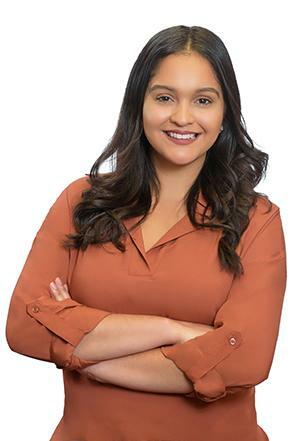 She's been with Air Animal since 2014 and works to provide her clients with the best experience possible so their relocation is easier and smoother. She fondly recalls a relocating military service member after years of being apart from his pet. It brought her so much joy to know she was able to make this reunion possible. Melissa purchased her dog, Wall-e from a farm breeder in Washington near the Canadian border. She and her husband joke they rescued the pup because he doesn't really like the outdoors. 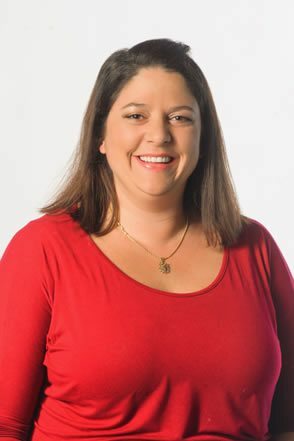 Michelle joined Air Animal in June 2014 and manages Air Animal's Orlando office near the Orlando International Airport. She specializes in relocating pets internationally. Michelle has successfully relocated hundreds of pets for corporate transferees, private individuals and military families. 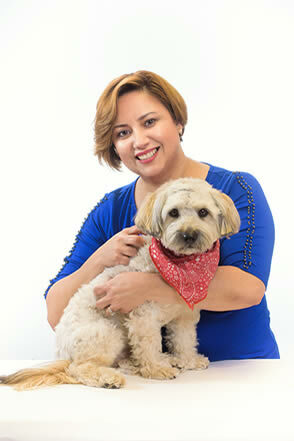 Her number one goal is the welfare of the pets and making the moving process as easy as possible for the pet owners. 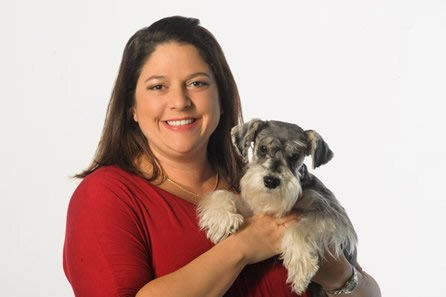 Michelle understands the anxiety that goes along with moving your pet and will strive to provide excellent service. She owns a Morkie named Pharaoh who keeps her and her two children very entertained. They thoroughly enjoy watching him act as their "guard dog" while chasing the squirrels and lizards out of their backyard. Maria moves pets around the world. Her favorite move was relocating four pit bulls to California. She loves pit bulls. The dogs traveled via ground transportation from Tampa to California. "They were so adorable! I put a lot of work into that move and the client was very grateful at the end. It made me very happy that the move went so smoothly and that she was so happy with the service," she said. 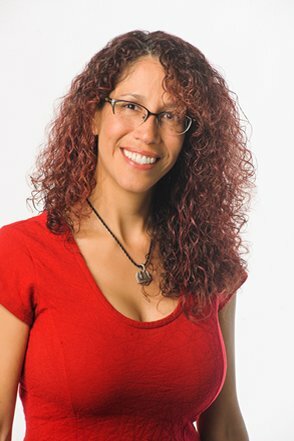 Maria works to get her clients through their moves with as little stress as possible. Her own recent move made her strive to make things easier for her clients. Before coming to Air Animal in 2016, Maria was a high-limit blackjack and roulette dealer at a casino in Baltimore, MD. Maria has two dogs and a cat. "All my pets bring so much joy and laughter to my life. Now that I have them, I could never imagine my life without pets! They are always there to cheer you up and they are very entertaining. There is never a dull moment at home." 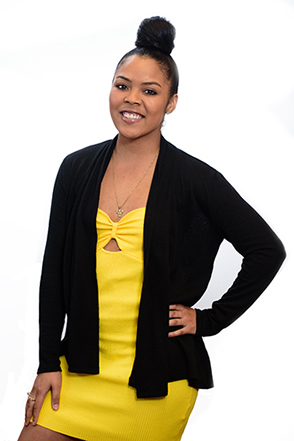 Deandra moves pets around the world as an international pet move manager. Her best moments are making sure families and their pets stay together as much as possible during the move. She loves to receive photos pet owners send before and after the move. "Their personalities are always on display," she says. Deandra adopted Binx and after three years she says he's growing to love her. Gibson is also a rescue from Facebook. A family was trying to re-home him a second time. "I saw his silly face and knew I couldn't let him go to just anyone," she says. Addison started at Air Animal as a college intern. 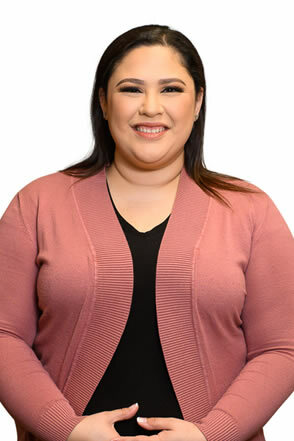 She's now the firm's administrative assistant. She borrowed Tank from Maria for her pet photo because he's growing quickly, is full of energy and is so loveable. Her mission is accurately booking flights for the furry, feathered and scaly clientele so there are no hiccups in-flight. She loves working in a setting where pets visit because they brighten everyone's day. She fondly remembers a beagle who made everyone smile when he arrived before his flight to the UK. 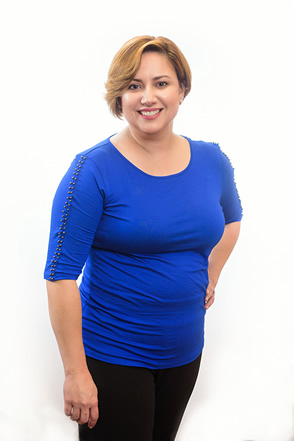 Rosa, a domestic move manager, loves hearing from her clients during and after moves. Knowing that the pet arrived safely and has been reunited with the family fills her with satisfaction. "Moving a pet is not easy. It has so many intricate parts and can be very stressful. I've done it myself," she says. That's why she worked to make the transition smooth because pets are important members of our families. Rosa met Max at the Pet Rescue Center and knew he was the one. He loves to cuddle and play and he's very protective of his forever family. 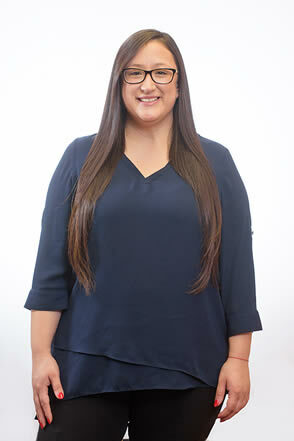 Leeza, operations assistant in Air Animal's Orlando office, says every day is a new adventure at Air Animal. 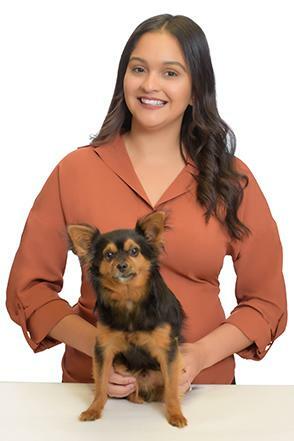 Her #1 priority is assuring a smooth moving process for families who have trusted Air Animal to transport their fur babies to their new homes safely. Leeza is an aunt to her aunt's Jack Russel terrier, Kilo. She cares for Kilo when her aunt travels. "He fit in her purse the first time I met him. Now he's a true terrier chasing cats and squirrels in his neighborhood!" For Krystal, pictures of the pets she's helped relocate are worth thousands of words. "Seeing their smiles and personality through the photos they send brings me so much joy," she says. 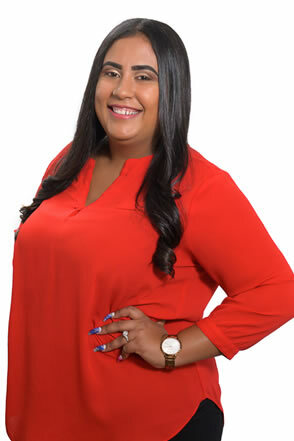 As an international move specialist, Krystal ensures the safety of relocating pets and helping her clients feel comfortable throughout the move. Krystal's dog Gordo came to her from her niece. "He's a ball full of energy. He rarely stops playing and he's always running back and forth at home. So crazy and so cute," she says. Ella's top priority as Air Animal's administrative assistant is making sure everyone's pets receive the utmost care. She's a pet owner herself. Her guy Coco loves to curl up on the couch next to Ella while she enjoys a good book and some coffee. She says he might be a grumpy old man sometimes but he makes time to still act like a puppy occasionally. "My favorite days are when we have pets visit the office before their relocation. I absolutely love animals. The highlight of my day is hearing stories about how people named their pets." Kyana adopted a puppy when a family member was giving away a new litter. Having a pet at home keeps her happy and at ease. The biggest aw-w-w-w moment for Air Animal's intake specialist was the day she walked into the office and met a Great Dane larger than she is. 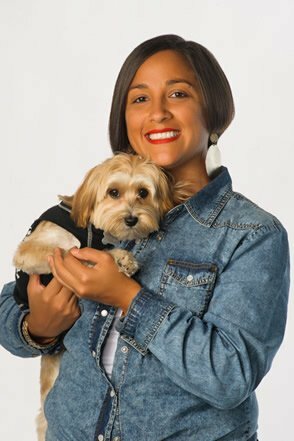 Kyana's number one priority is contributing her best efforts to hundreds of safe, secure and confident pet relocations each year. 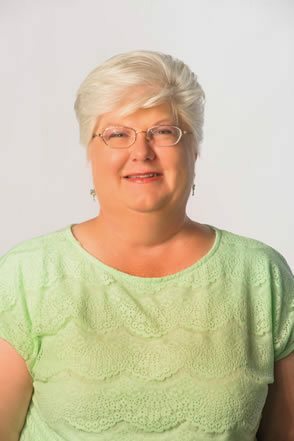 Lori joined Air Animal's business office team in accounting. Her goal is coming to work with a smile and helping her coworkers in every way possible. Her best day so far was surprising everyone in the Tampa office by organizing the kennel storage room. 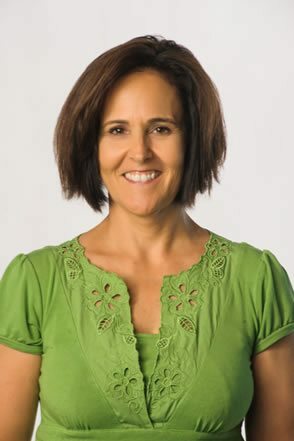 Lori has owned dogs and cats in the past and she was involved in horse show competitions as a younger woman. Every time Jessica meets a new dog at work—and she meets several every week—she thinks about her wiener dog back home in Rhode Island. When Jessica relocated to Florida, Raffy stayed home to keep her parents company. "I love helping people and new beginnings. Everything completely changed for me after relocating and I have a new pet. Blackie is a chihuahua mix. We're thinking of adopting another small dog from rescue," she said. 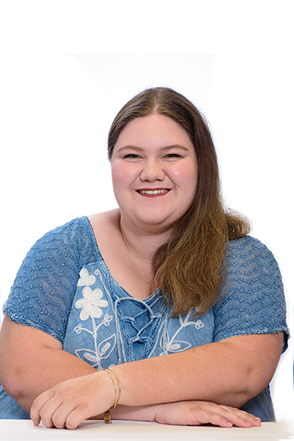 Jessica believes pets are members of the family and she endeavors to arrange all moves she arranges with that in mind. 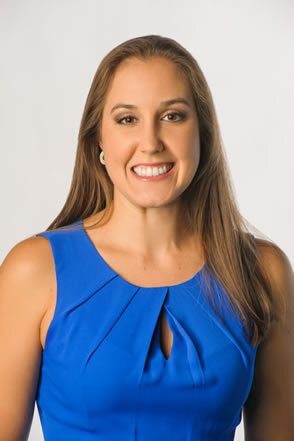 Jessica moves pets throughout the U.S., Canada, the Caribbean, Hawaii and Guam.